If you were signed up to the Discovery Club last year, you may be forgiven for drawing comparisons to the 2013 Winter box. However, I am seeing it as the Xmas Booster Box 2.0: bigger, better and bursting with goodies! The thing about classics is that I believe that different generations have differing opinions on what classifies one as such. I think that the majority of people tend to determine classics on which are the most memorable and popular rather than which are the better crafted. Therefore, I can imagine some seeing this list and wondering where the fragrances that they would consider classics are hiding. This box says to me that it is aimed at somebody in their early to mid-twenties. It contains fragrances that I remember well and that may evoke some nostalgia for others around my age. It also contains more modern releases that have been great sellers. Whilst everybody's opinion on what a classic fragrance is may be different, it's clear to see how the samples in this box were chosen. All of them are or were popular mainstream fragrances. There are a couple of samples included in this box that were also in the previous Winter 2013 box. There is also a repeat of a more recent sample that was featured only in the Summer box this year (whether you could actually class it as a classic after just a few months is up for debate). Whilst that may irritate some who have been subscribed for so long, it does make a fantastic first box for those who haven’t signed up yet. I also think that the addition of the miniature more than makes up for those samples that are repeated, adding a special touch to a box that otherwise may have been seen as a little repetitive. So what’s in the box? Let’s take a look! Nina is a perfume that I would actually consider a classic, but more of a modern classic based on popularity and likeability. 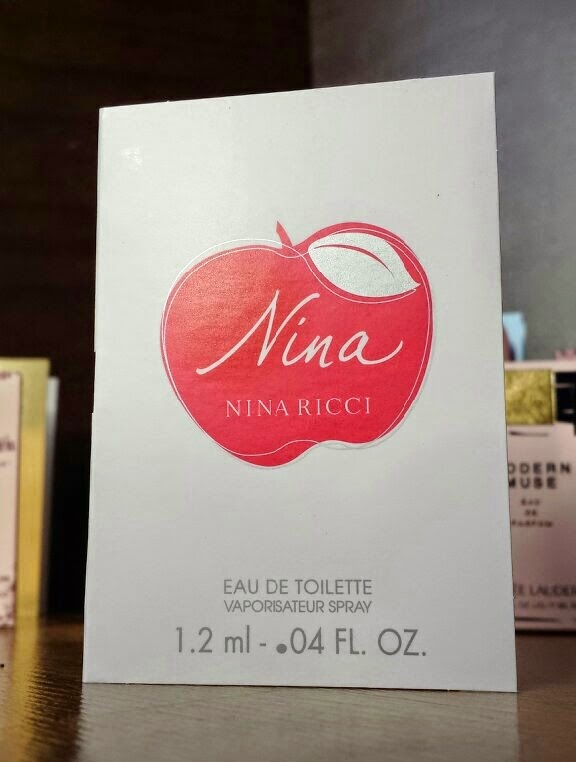 Nina is a very popular, sweet yet citrusy perfume and is aimed at a younger audience. The top notes are lemon and lime, followed by a heart of apple, datura, peony and praline and a base of musk, apple tree and cedar. The best way that I can describe this to somebody who may never have smelt it before is "candy apples”. You can purchase a full size bottle of Nina Ricci - Nina from £28.50 from The Fragrance Shop. At the time of writing, you can receive a free Nina Ricci pouch along with any Nina bottle purchase of 50ml and above. 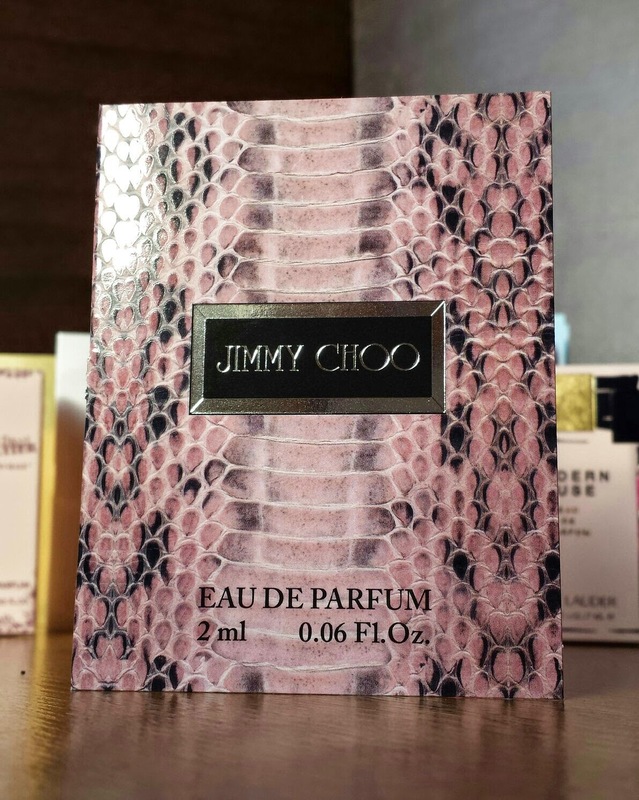 Jimmy Choo is another popular perfume of the modern era. It is a sweet, fruity type of fragrance with plenty of patchouli. The top notes include pear, mandarin and green notes, followed by orchid in the middle of the composition. The base includes toffee caramel and patchouli. Stand out notes of Jimmy Choo are definitely the patchouli and toffee caramel, making it very sweet yet not overly so. It’s not at the level of being as sweet as something like Viktor & Rolf’s Bon Bon or Lancome’s La Vie Est Belle, so it is probably better suited to people who like sweet scents without being overwhelmed in “sweet.” Now I have to hope that what I just said makes some sort of sense. You can purchase a full size bottle of Jimmy Choo EDP from £38.50 at The Fragrance Shop. 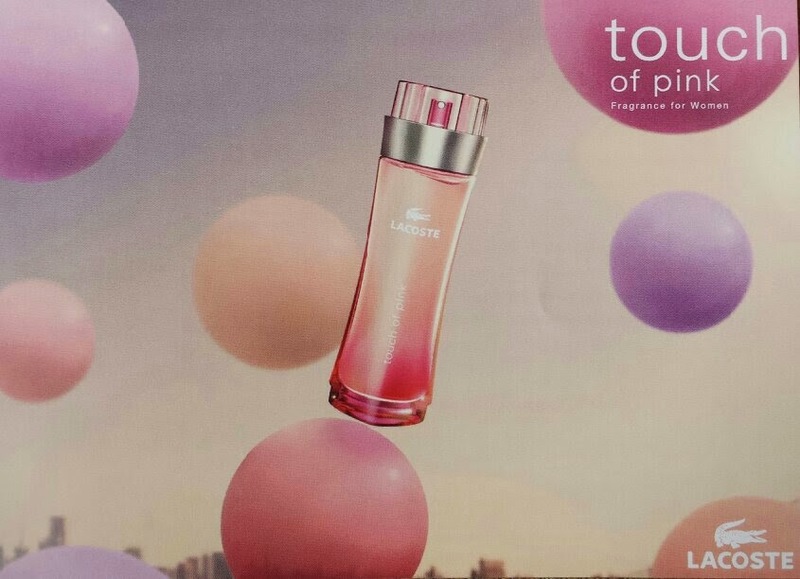 Touch of Pink is one of those perfumes that evoke the nostalgia that I mentioned. Just one sniff and it was like being back at school. I can remember the consistent advertising for it around its release. It was in every magazine and I remember everybody wearing it and a bunch of my friends owning it. I also remember wanting a bottle, but I never got one. However, ten years on, I’m not as excited by this fragrance. I’m pretty sure that it is to do with age. Whilst it appealed so much to my teenage self, as an adult I'm underwhelmed by it. That isn’t to say that everybody will feel this way though. A lot of people may still love it as much, regardless of their age. In fact, I know people older than me who still love and wear this perfume! So whilst I personally find this a fragrance for young people, it is definitely debatable. The top notes include orange and blood orange, coriander leaf, peach and cardamom. The heart includes jasmine, more coriander and cardamom, carrot seeds and violet leaf. The base consists of vanilla, sandalwood and musk. Looking at the notes, I would imagine my current self being interested in a scent just like this. Maybe I'm simply disheartened now because I’m so disappointed and jealous that I missed out on the craze for it in my teens. 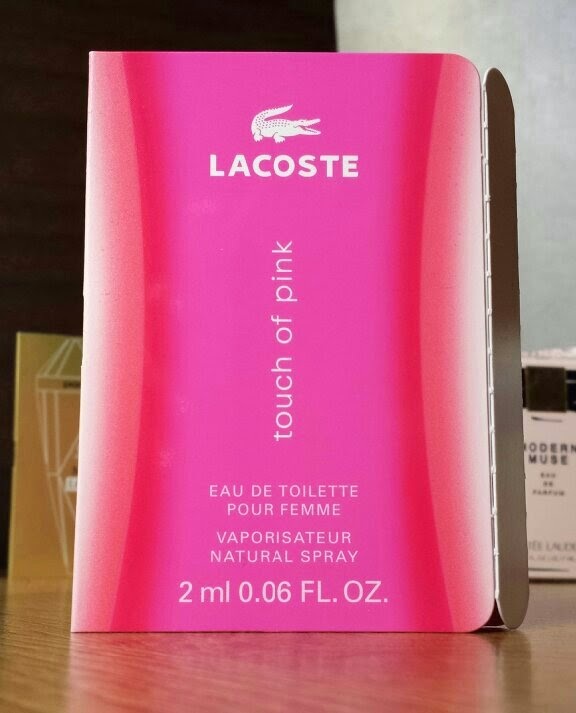 You can buy a bottle of Lacoste - Touch of Pink from £25.50 from The Fragrance Shop. Lady Million Eau My Gold is the aforementioned repeat sample from this Summer that I was discussing in the introduction to this post. I have a post up all about the Summer Discovery Club box, so I shall direct you towards that post rather than repeat my thoughts on this scent. However, I have to admit that I'm slightly confused by the addition of Eau My Gold. I can see the original Lady Million being a far better fit for the theme than this particular flanker of it. That's just a personal opinion, though. 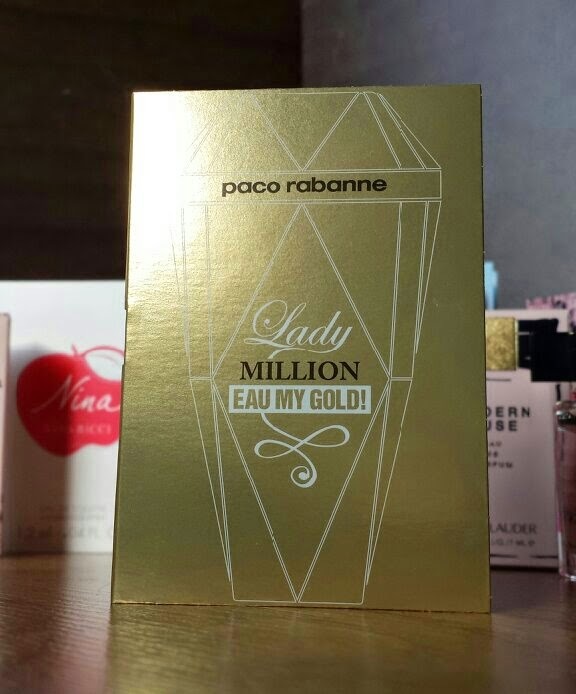 You can purchase a full size bottle of Paco Rabanne - Lady Million Eau My Gold from £44.50 from The Fragrance Shop. At the time of writing you can also receive a free Paco Rabanne gold clutch bag along with the purchase of the fragrance. 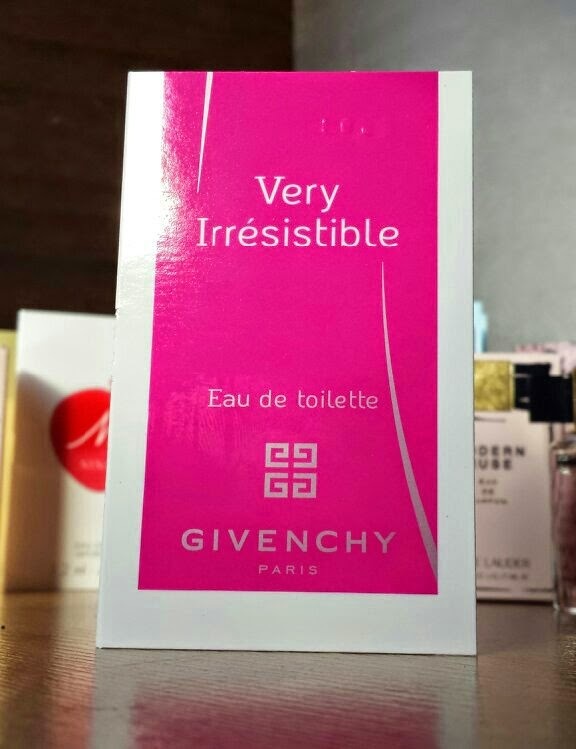 Very Irresistible is a fragrance that is based around rose. It is a really likeable and easy to wear perfume that all rose lovers should definitely try at least once. The top notes include anise, lemon verbena and cassia , followed by a heart of rose, gardenia and peony. It has a base note of taif rose. It's a very charming type of perfume. It's also inoffensive and incredibly feminine. Even though there are a few "pink" perfumes on this list, this would be the one that I would say best fits the idea of the "pink" scent. 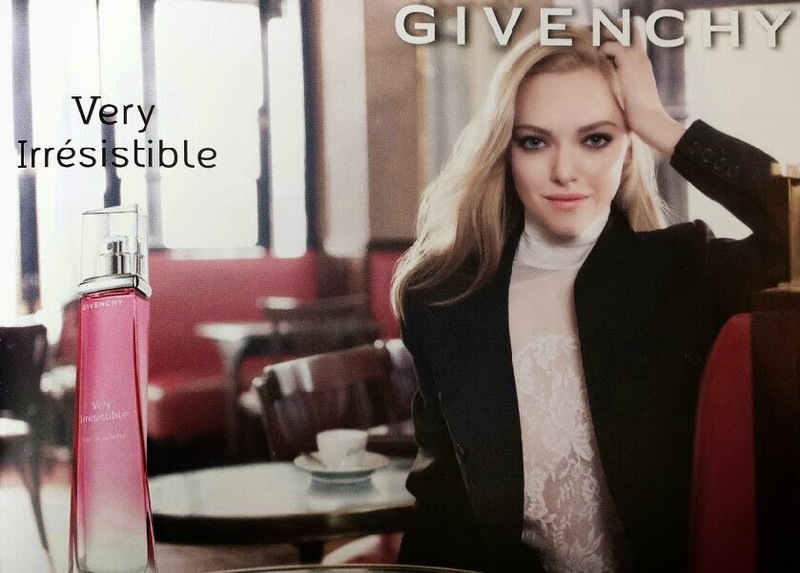 You can purchase a full size bottle of Givenchy - Very Irresistible from £37 from The Fragrance Shop. At the time of writing you can also receive a free Givenchy pouch with beauty samples (one being the Hydra Sparkling Velvet Luminescence moisturiser) along with the purchase of a 50ml bottle. 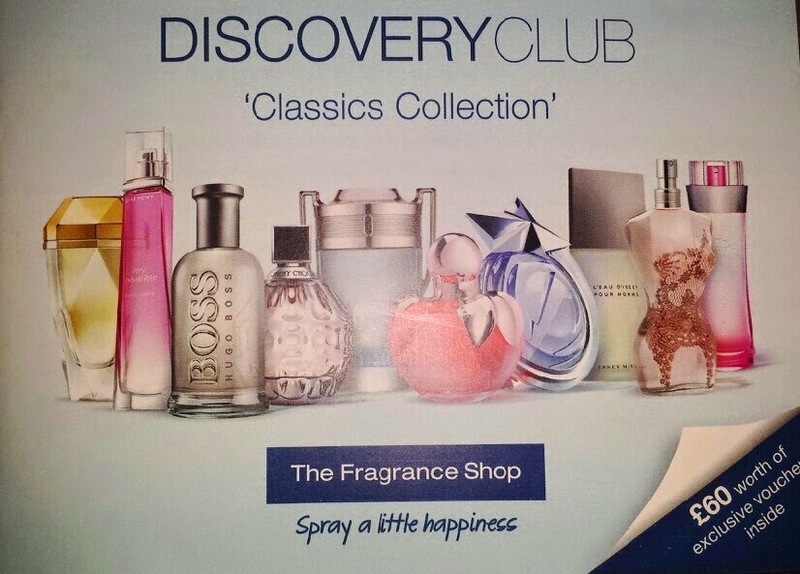 This perfume can also receive £10 off with the voucher included inside the Discovery Club box. 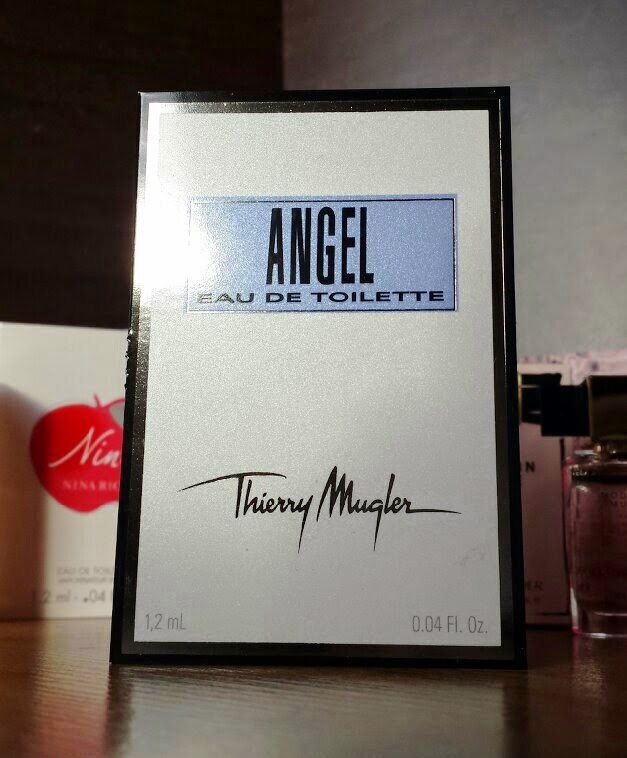 Angel is a perfume that may split opinions, but the EDT is undoubtedly easier to fall for. It's the Angel for everybody rather than just some. The original EDP is a powerhouse. It was also inducted into the FiFi Fragrance Hall of Fame in 2007. The EDT however is the Angel that allows those who were so put off by the original to enjoy it in a new way. I wouldn't necessarily describe it as a lighter version of the original as they are quite different. I would describe it as more mainstream, though. It is designed with those in mind who enjoy other popular, sweet, mainstream perfumes. The top notes include bergamot and pink pepper, middle notes of praline and berries and a base of musk, vanilla, patchouli and cedar. 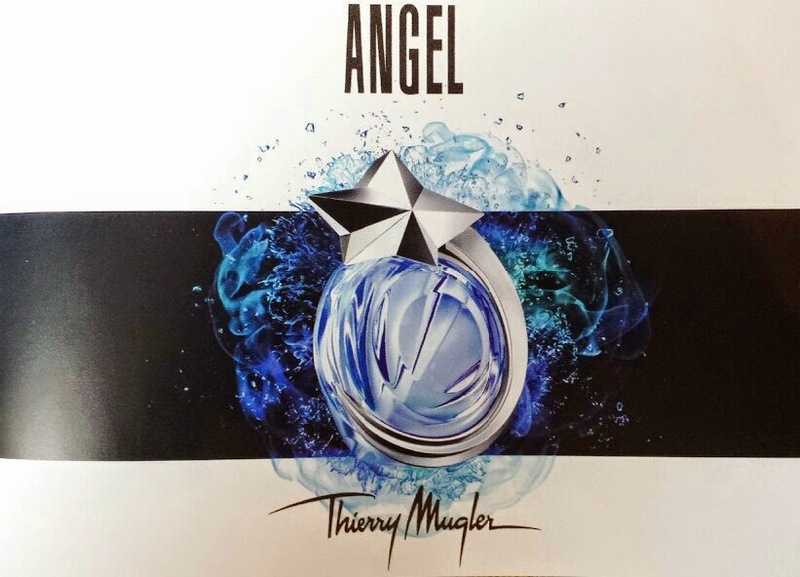 You can purchase a full size bottle of Thierry Mugler - Angel EDT from £46.50 from The Fragrance Shop. At the time of writing you can also receive a free 5ml miniature bottle of the original Angel EDP. If a classic was determined by the number of flankers, this would probably be one of the most highly ranked scents. With that said, Very Irresistible and Angel can bring some serious competition on the flanker front too. Maybe we're working out the criteria here. Classic by definition and Classique by name, what you cannot doubt is that this fragrance is definitely a popular and much loved one. It contains top notes of anise, pear, rose, bergamot, orange blossom and orange, middle notes of plum, ginger, iris, tuberose, orchic and ylang-ylang and a base of vanilla, musk, amber, sandalwood and cinnamon. Classique is a very sweet and seductive, but that isn't overly surprising seeing as it is contains the note ginger that is a known powerful aphrodisiac. 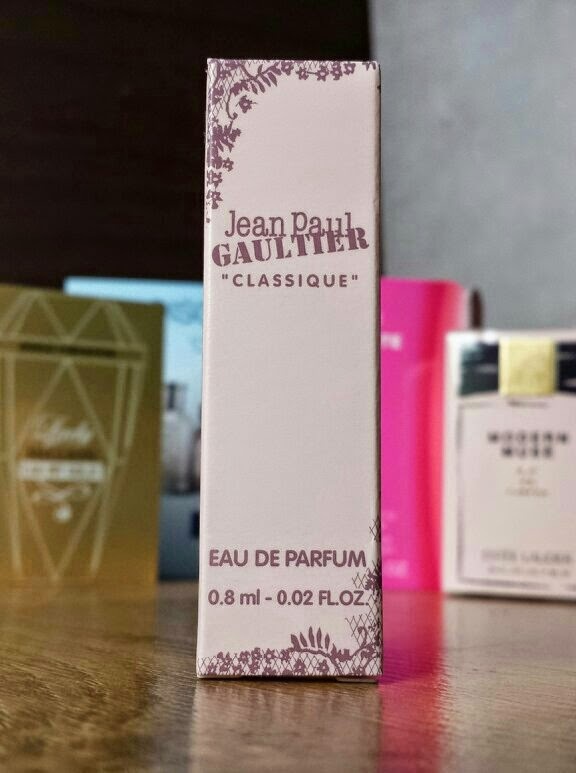 You can buy the full size bottle of Jean Paul Gaultier - Classique EDP from £31.50 from The Fragrance Shop. At the time of writing you can also receive a free tote bag with the purchase of a bottle that is 50ml or up. 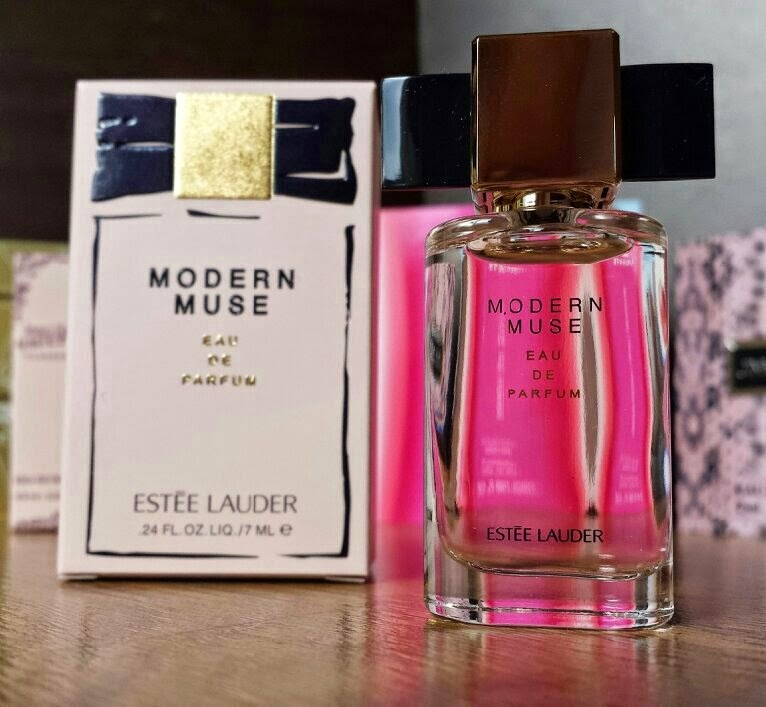 Modern Muse is the miniature fragrance that I received in my Discovery Club box. I'm not 100% if everybody has received the same as it doesn't mention in the booklet what miniature will be included. I find this fragrance to be very floral and musky. It's described as being a scent for the independent and confident woman. I can see this perfume being perfect for the professional, hard working type of woman. The top of the composition includes mandarin, whilst the heart contains lily, flower petals, tuberose, jasmine and honeysuckle. The base includes woody notes, vanilla, amber, patchouli and musk. 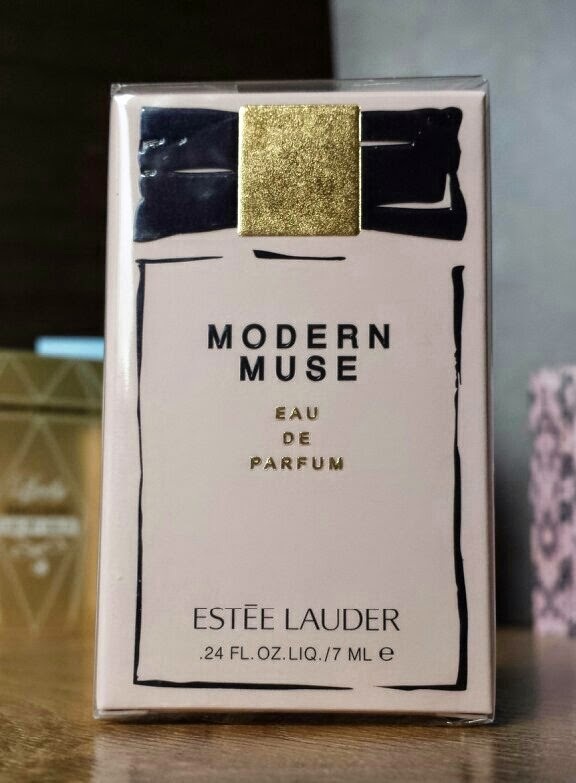 You can purchase a full size bottle of Estee Lauder - Modern Muse from £44.50 from The Fragrance Shop. At the time of writing you can also receive a free Try it First sample to test out before opening the full size bottle. L'Eau d'Issey is a fresh, spicy citrus fragrance. It's long lasting and clean, probably best suited to the warmer months. 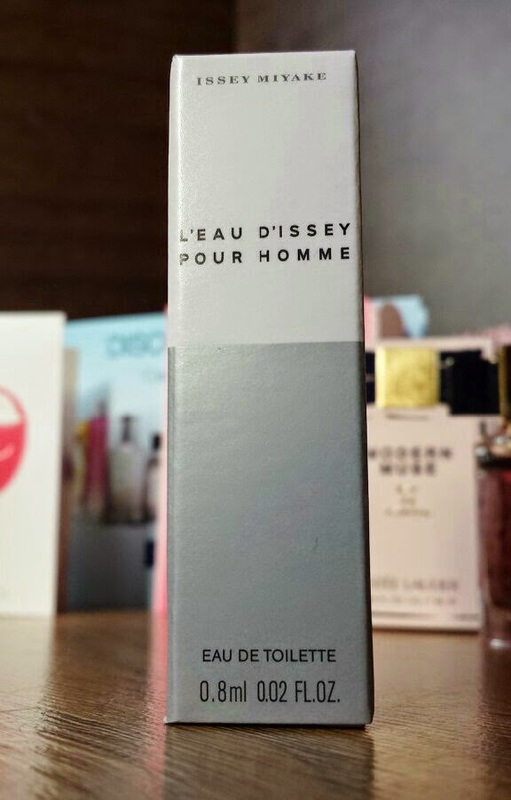 L'Eau d'Issey is also a pretty uncommon type of scent. I think that this is down to the inclusion of the yuzu note, but it has a very addictive type of quality where you want to keep smelling it. I passed the male samples onto my dad (who is a big fragrance nut, like myself) and he has been enjoying it thoroughly. He's also really happy with the longevity. Weak lasting fragrances tend to irritate him as he prefers a fragrance to stay with him, so L'Eau d'Issey gets a high grade on the longevity front. The top notes include yuzu, coriander, tarragon, cyprus, lemon, orange, sage, lemon verbena, calone and bergamot. The middle notes consist of geranium, saffron, nutmeg, mignonette, cinnamon and lily-of-the-valley. The base contains vetiver, musk, sandalwood, tobacco, amber and cedar. 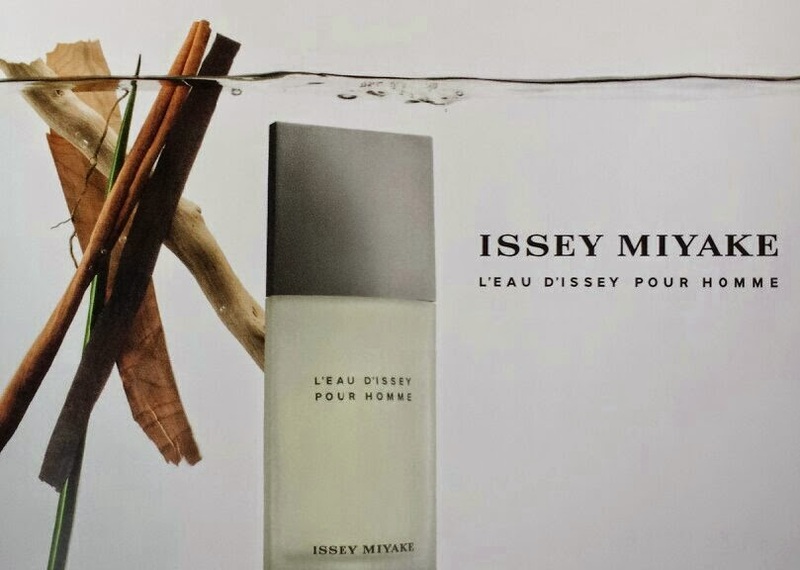 You can purchase a full size bottle of Issey Miyake - L'Eau d'Issey from £31.50 from The Fragrance Shop. At the time of writing you can also receive a free shower gel and wash bag with the purchase of a full size bottle of 75ml and upward. 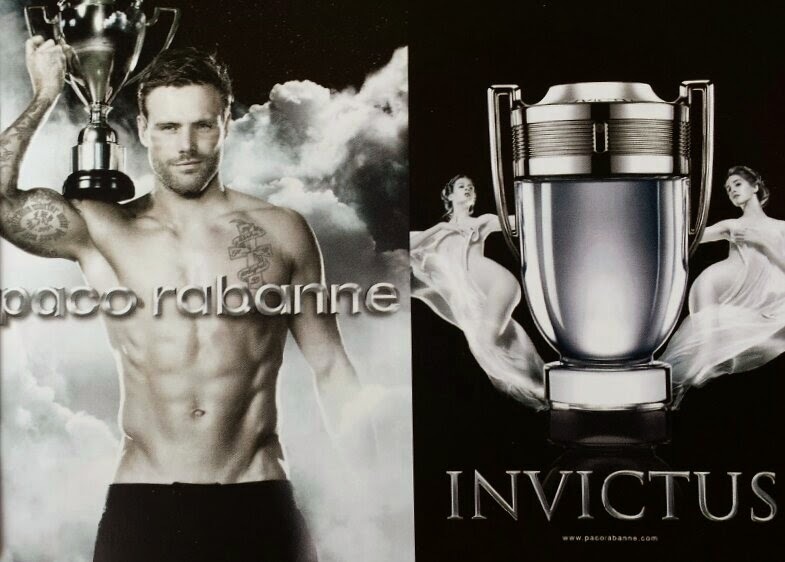 Invictus is a fragrance that is supposed to evoke "power." The advertising explains this angle perfectly, as does the name. It is supposed to be the scent of invincibility. But does the scent live up to it? Firstly, Invictus seems to have incredibly weak lasting power. As I said, my dad has a tendency to get picky on the longevity front, and this one has the tendency to get him a little frustrated. With that said, it seems that other people do not seem to have this issue. In regards to whether or not the scent manages to achieve the powerful, invincible vibe is another thing. I think that each person may have a different opinion on what scents would best give off this impression. To me though, I would have imagined a scent that is supposed to be based upon the idea of invincibility and power would be more of a longer lasting powerhouse type of scent, which Invictus isn't. The top notes consist of marine notes, grapefruit and orange, whilst the heart contains jasmine and bay leaf and the base includes ambergris, oakmoss, guaiac wood and patchouli. 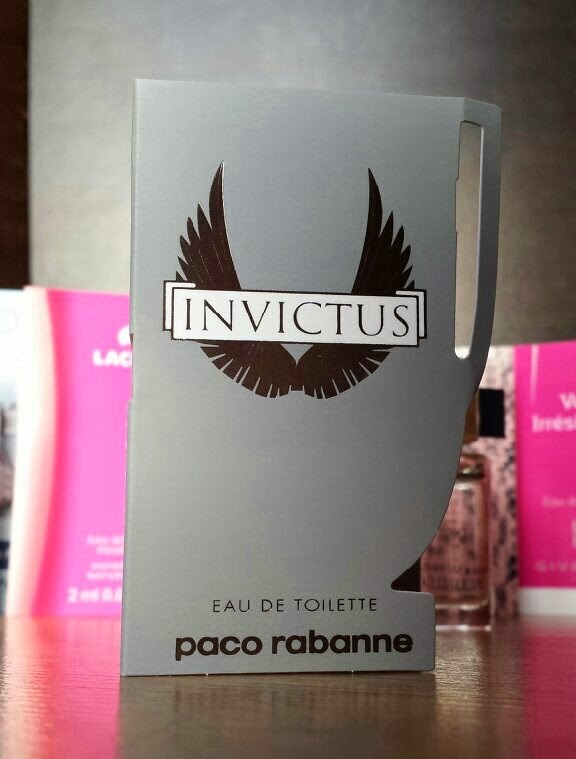 You can buy a full size bottle of Paco Rabanne - Invictus from £41 from The Fragrance Shop. At the time of writing you can also receive a free Invictus bag with the purchase of any sized bottle. 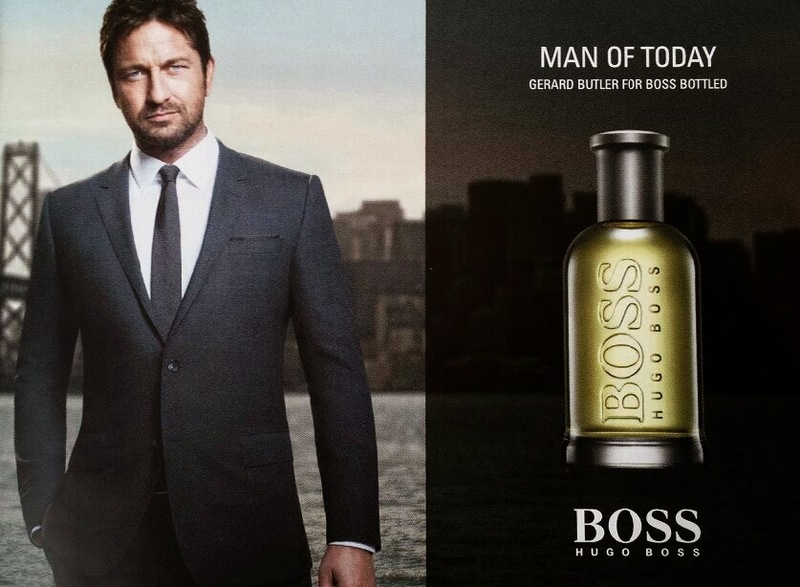 Boss Bottled is a vanilla heavy scent for men that is blended with citrus, woody and floral notes. It is pretty popular and understandably so. It's easy to like and is suitable for different settings, including work or just casual day to day activities. The top notes include oakmoss, apple, plum, geranium, bergamot and lemon. The middle notes contain mahogany, cinnamon and carnation whilst the base includes cedar, olive tree, vanilla, sandalwood and vetiver. 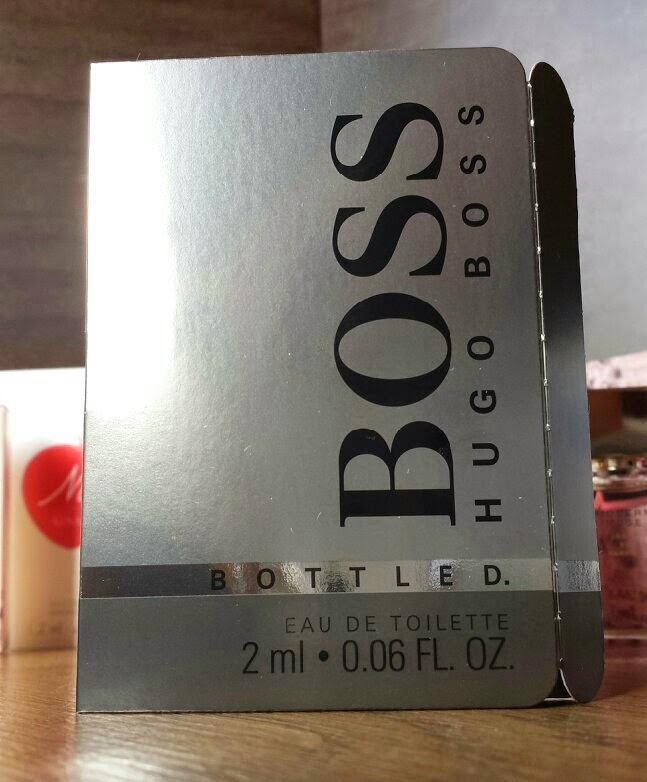 You can purchase a full size bottle of Hugo Boss - Boss Bottled from £32.50 from The Fragrance Shop. It was a long post, but it was a huge box to cover. What are your thoughts of the Winter 2014 box? Do you love or loathe the scents included? A perfume sample box is a pretty good idea! Indeed it is! I love it!